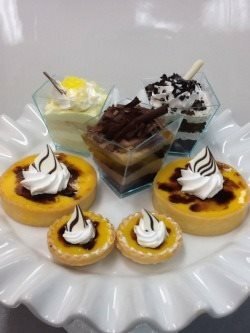 Our delicious Petite Parfait Cups. 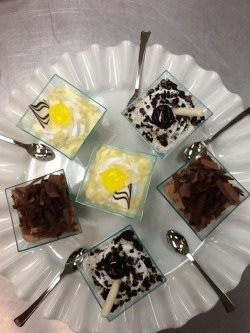 German Chocolate, Lemon, Cookies n Cream featured. Also available in Red Velvet and Dulce Leche.